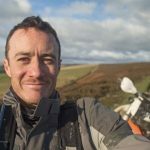 This September sixty riders headed north to take part in Northumbria TRF’s Hadrian Adventure Weekend. We caught up with event organiser Greg Villalobos for a detailed look at what goes into putting on an event like this. 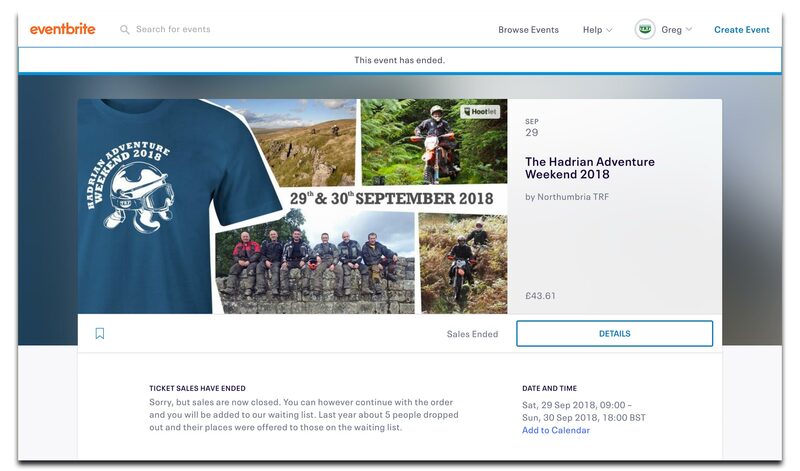 The Hadrian Adventure Weekend is now in its fourth year and whilst it’s not got bigger it’s definitely got better. We’ve learned a lot over the years, made a few mistakes and hopefully improved every year. This article is designed to help other groups understand what we do here for our event and share some of the processes we have developed. For this event myself and NTRF Treasurer Davy Myers took on the roles of Event Manager. It was our job to ensure the successful and safe running of the event. It’s our names that are put forwards on any TRF insurance documentation. 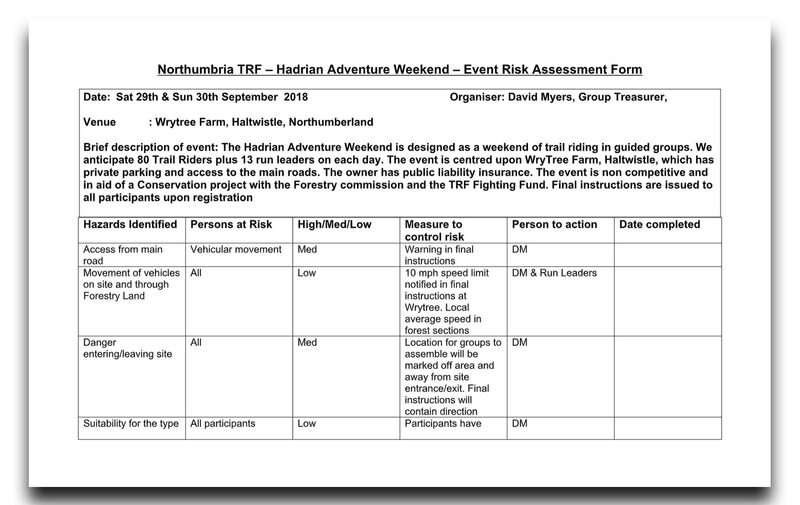 The Hadrian Adventure Weekend is a non-competitive 2 day guided trail ride around Northumberland and Cumbria. It takes place on byways and public roads. 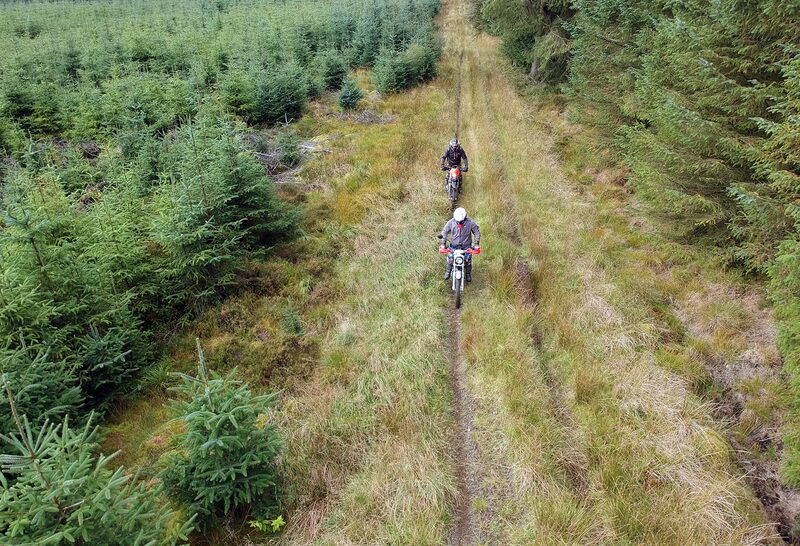 We also have access to Kielder Forest as organised with The Forestry Commission. 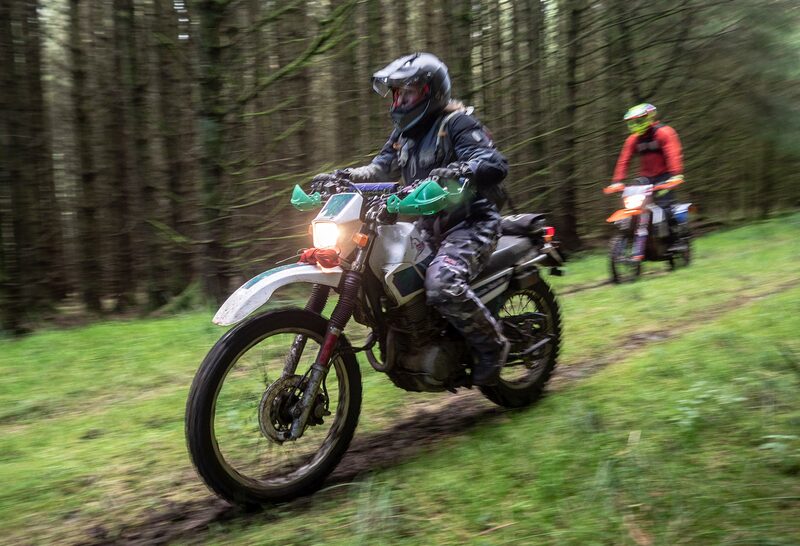 We work with the FC to put together a route that goes in one direction through the forest on fire roads and some enduro style routes in the woodland. We set an easy, medium and hard route to cater for the ability levels of participants. We use https://www.eventbrite.co.uk/ to manage the ticketing of the event. It’s a very powerful and easy to use website that vastly reduces the administrative burden of organising the event. We allocate 60 tickets and TRF members can buy these directly from the website. The process of buying the tickets requires them to input their details including TRF membership number etc, and the website takes payment. Everyone who buys a ticket is automatically sent info about the event and we can message people directly when required. If someone wants to cancel it’s very easy to issue a refund. We also have a waiting list so once it’s sold out people who are on the list and are offered a space if/when it becomes available. I can’t recommend this website highly enough. Our total sales were about £2,600 and the commission was about £200. This was a bargain for the amount of time and hassle it saved us as organisers. 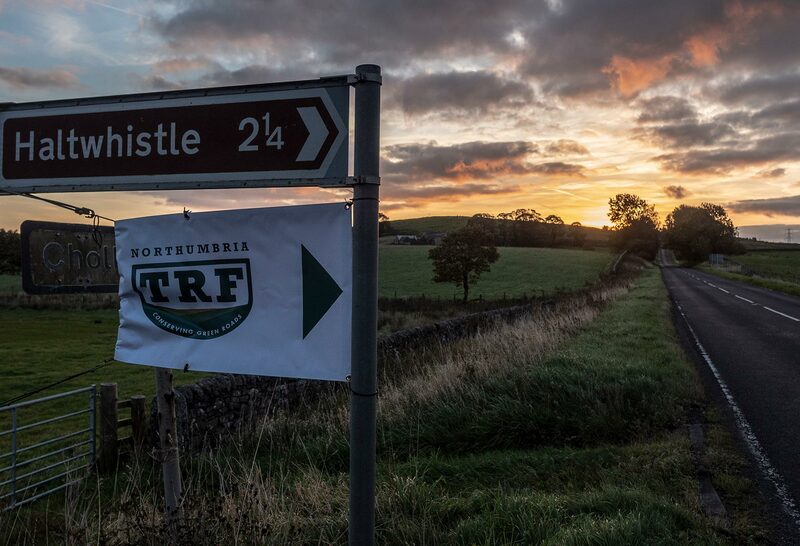 When we first put on the Hadrian Adventure Weekend it was difficult to get Northumbria TRF members to commit to being a run leader for the weekend. However, over the years as the event has grown in popularity we’ve been fortunate to get a large number of members to help. This year we had 12 leaders and 12 tail enders. It was important to get them to commit early on and get it booked into their diaries. It’s essential that the event is covered by TRF insurance. Hopefully it will never be needed but if something does happen the approval enables the TRF Public Liability insurance to be engaged in any proceedings. There are set criteria that the TRF require to obtain insurance, largely based on a robust risk assessment. We worked with TRF Director Dave Carling to make sure that our processes met the insurance criteria and that we were covered. Putting on the Hadrian Adventure Weekend can take up a considerable amount of time and energy. We assigned roles across the committee, some major and some minor which greatly helped spread the load. There’s no point in the Event Manager running around on the morning of the event putting up signage, signing everyone in and giving the briefing as well, all those things can be distributed across the team. Northumbria TRF has a Google account for the Committee. 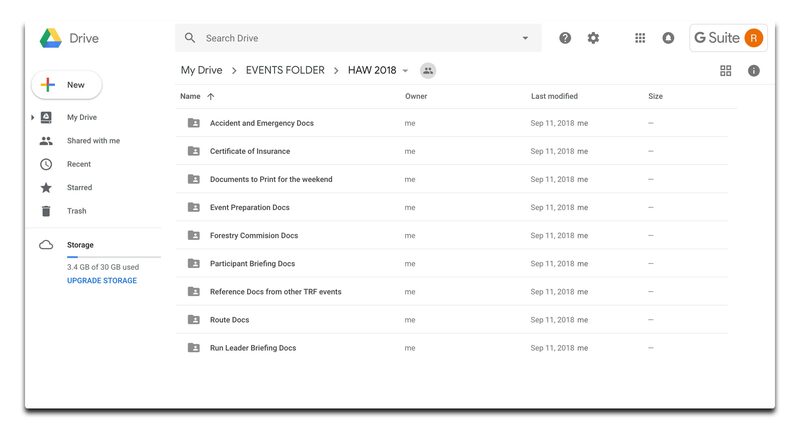 We used Google Drive to create a folder for the Hadrian Adventure Weekend. This allows us to keep all our important documents in one place where everyone on the committee and event team can access. It really helps in the smooth running as well as keeping everything safe and easy to replicate for next year. It also means that if the event organiser has to drop out for some reason everything is there for someone else to pick up. A risk assessment is designed to demonstrate that event organisers have planned ahead and taken steps to reduce any potential risks to people involved in the event. It’s an essential part of obtaining TRF insurance. We try not to ‘copy and paste’ from other risk assessment forms as it’s important that you do your own thinking rather than rely on someone else’s. That said it can be helpful to see how others approach this, here’s ours. This should be sent to you by a TRF Director once your event has been approved. We upload ours to our Google Drive folder. 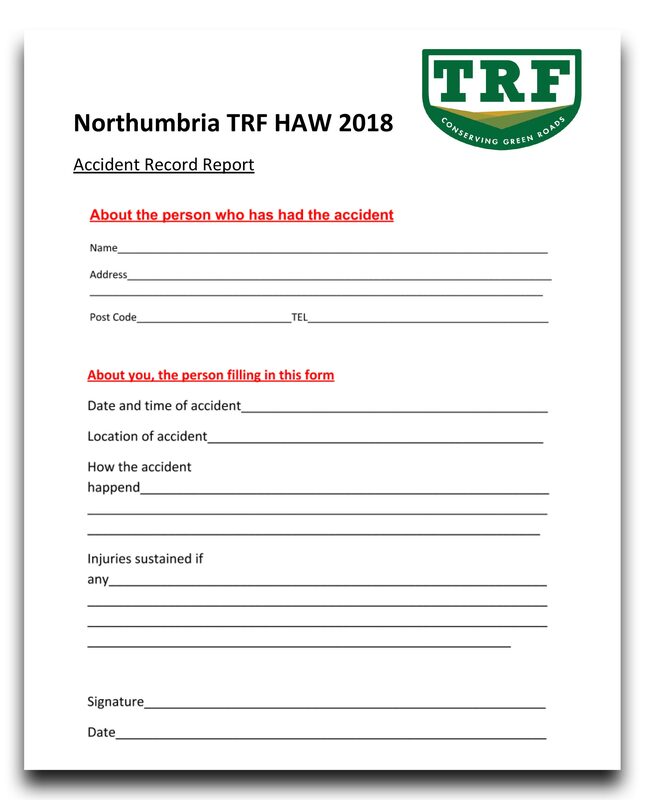 This year we were provided with documentation from TRF that covers actions to take in the event of a major incident. This was very helpful as it made it clear what the event organiser should and shouldn’t do. We made sure that the Event Managers had copies during the event. We also took the key points and included them in the Run Leader Briefing Document (see below). This is a folder with A4 accidents printed out. Instructions were included in the Run Leader Briefing about what should be reported. The Event Manager made sure that all accidents went in the book, there were three minor accidents this year. In the past we’ve made some assumptions that run leaders knew what their job was for the weekend. This year we decided to improve this process and put together a formal briefing document that covered what the Event Managers expected of them, as well as giving clear guidance on what to do if certain situations occurred. In my opinion this was one of the most important documents we created for the Hadrian Adventure Weekend as it removed any assumptions or guess work for the run leaders. Every run leader and tail ender was required to confirm that they had read this document before they could take part in the event. All participants were required to sign on the morning of the event. This included reading, signing and returning a sign on form that covered the TRF Code of Conduct as well as extra information that the event organisers asked them to agree to for the event. It’s essential that these signed forms are kept safe for five years after the event. In the unlikely case of a claim being brought against the organiser this paperwork will help prove what information was given to the participant before the event. 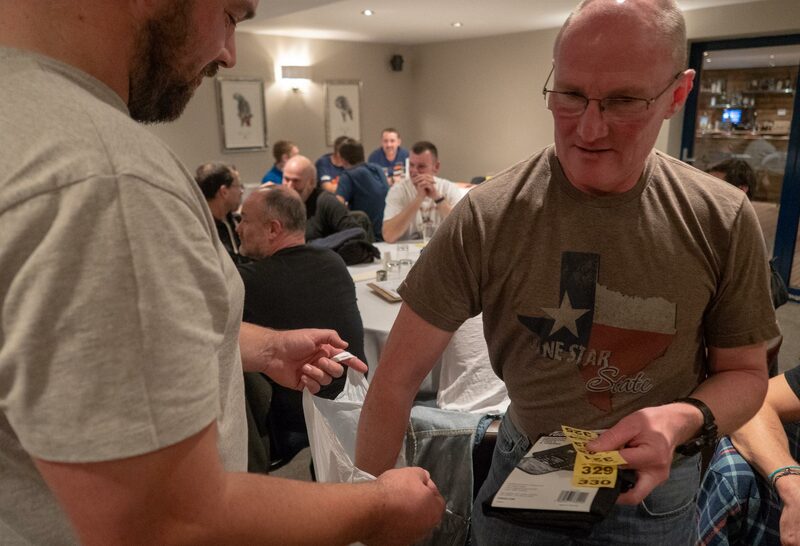 For this years event we provided all participants with a form containing all run leader / tail ender mobile phone numbers, as well as event organisers emergency contact and local recovery provider. This was designed to help in the unlikely scenario that a rider became separated from their group. We made sure to ask permission before distributing everyone’s phone number. Getting everyone organised on the morning of the event can be a little chaotic. We put together a ‘briefing script’ to be printed out and read from in the morning briefing. Having this script made sure no important info was left out. It also meant that someone else could read it if the Event Manager was not available. 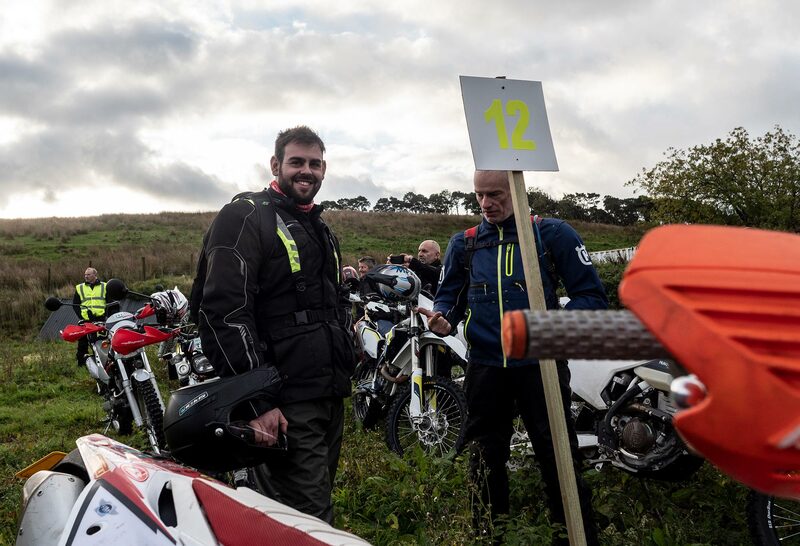 The Hadrian Adventure Weekend takes participants through Kielder Forest. There are three routes to get through the forest, easy, medium and hard. We provided run leaders with GPX files for each of these routes so they had options based on the kind of riding their group was looking for. All participants signed on at the start of the Saturday morning. This allowed us to make sure we knew who was there (several didn’t show up) and that we had their signed agreement forms before they started. They were not given their riding group number until they had signed on. The Event Manager gave a welcome briefing to all participants. This was a friendly way to start the event but also a verbal briefing of the document that everyone had signed, making sure that the important info had been conveyed. A group photo was taken which was fun but also a helpful way of proving who was there at the briefing. 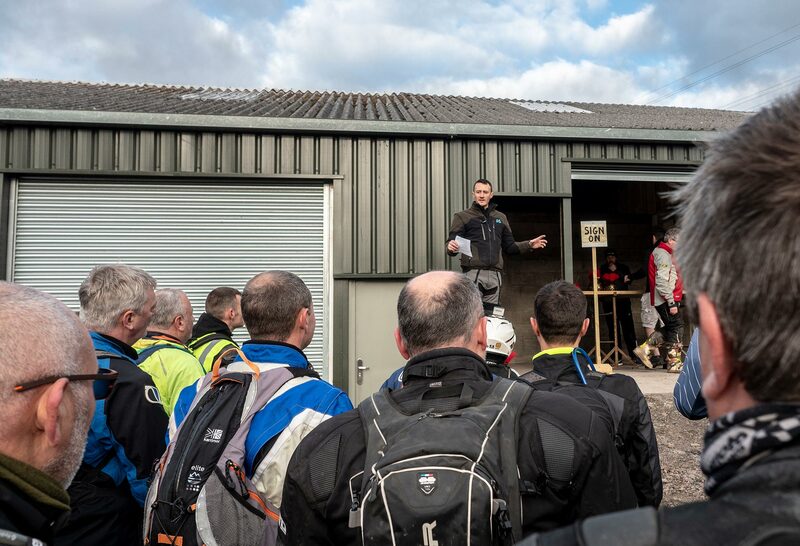 Whilst groups were out riding the Event Managers were either ‘roaming’ by bike dropping in on groups and being on hand if required, or desk based to co-ordinate or help by phone. 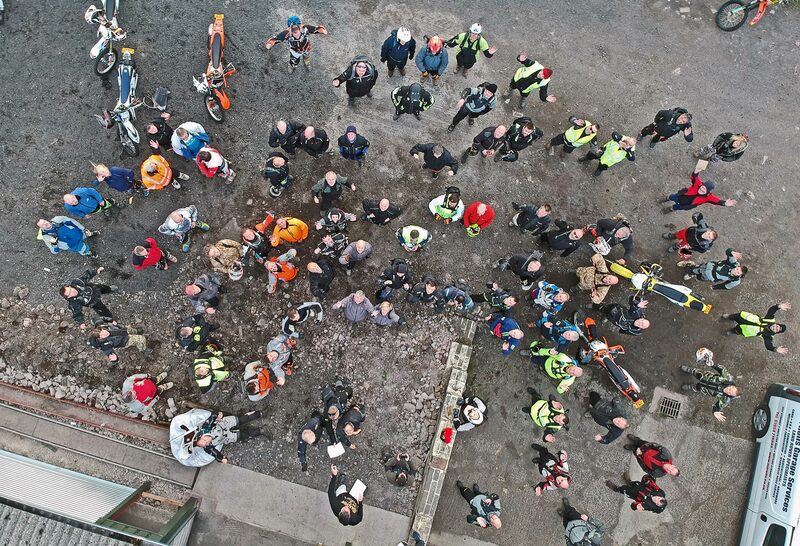 This year there was no need for any support or intervention by the Event Managers whilst the groups were riding. It was a requirement for each ride leader to check in at the end of the day and confirm that all participants were back safely and report any incidents or accidents. Most did this, and for the two that forgot the Event Manager called them and got confirmation before the end of the day. Three minor accidents were reported which were all written up in the accident book. The Event Managers were satisfied that all participants were accounted for. The Hadrian Adventure Weekend requires all participants to arrange their own accommodation. There are plenty of camping, B&B, bunkhouse or hotel options close by. We hold an evening meal in a local pub as a way of getting everyone together and celebrating the weekend. Using the Eventbrite system and a Google Form, we send out a questionnaire to all participants in the week after the event. This is a great way to get feedback that helps us shape future events. It’s also a great way for participants to pass on their largely very positive feedback to their run leaders. All signed forms and accident book are put in a folder and stored by a Committee member for five years after the event. 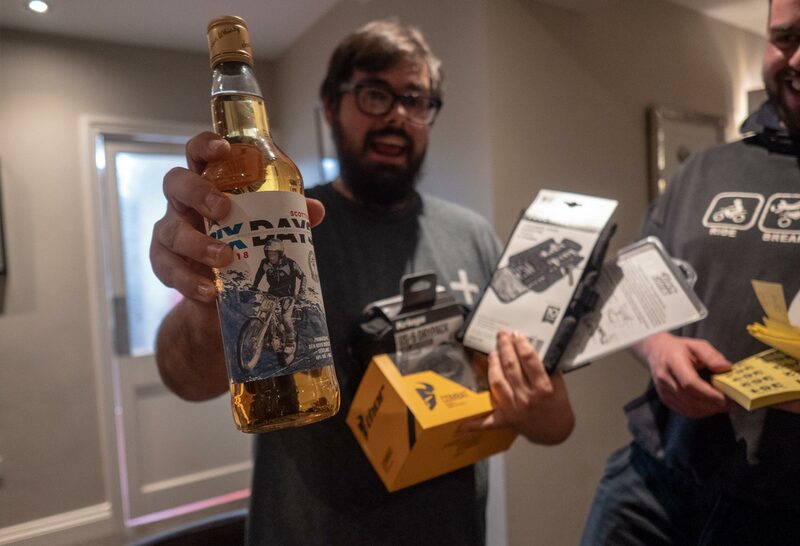 The energy that the Hadrian Adventure Weekend brings to Northumbria TRF is tangible, in the days after volunteers are full of ideas about what we can do next year. Its a great way for people to experience the joy of helping guide others around who are appreciative of their efforts, a real reward for the effort put in. We try to keep that energy going - lets see what we come up with next year!